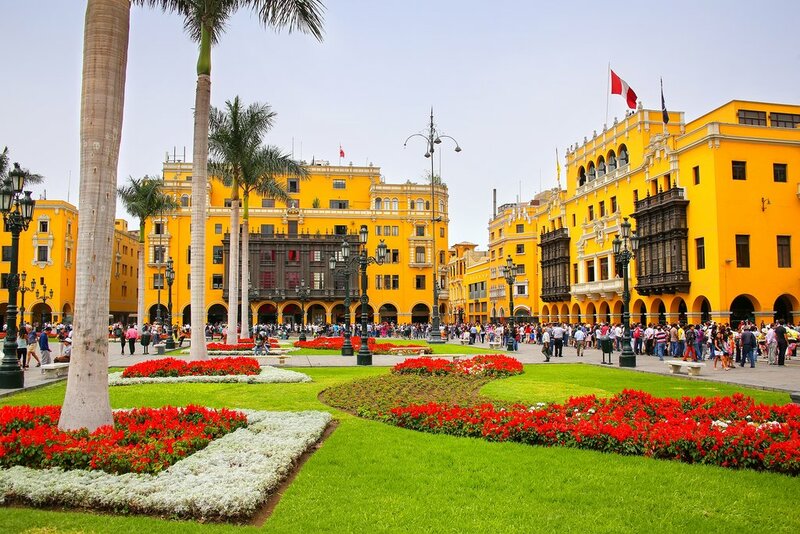 This itinerary is a great alternative to the classic Inca Trail trek when permits happen to be sold out. 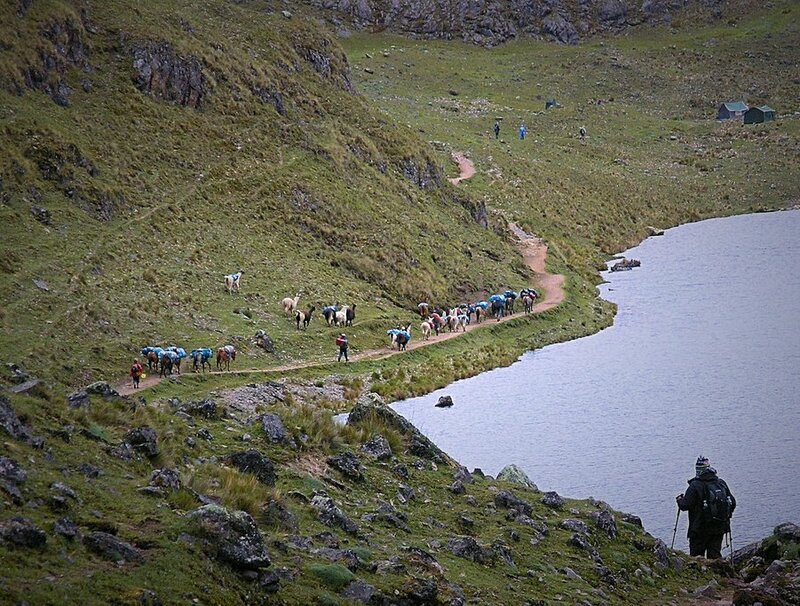 You still get to hike the last day of the Inca Trail, yet you'll spend the first three days trekking through the Lares Valley, north of the Urubamba river. The trek takes you through local native communities and farmsteads and provides a unique experience and introduction into authentic Peruvian culture. Overview map for "Lares Valley Trek & Short Inca Trail - 5 Days"
Cusco's Coricancha also known as "The Temple of the Sun"
Very early, as the sun begins to shine on the roofs Cusco, our guide will pick us up from the hotel and we will head in the direction of the Sacred Valley. The Calca market will be our last stop before losing contact with big cities. This is our final chance to buy any last minute things we may need for the trip. The road that leads to Lares and crosses the Amparaes pass at 4470m is a phenomenal drive which winds through arid landscapes, occasional rivers run across the road and the mountain views are breathtaking. 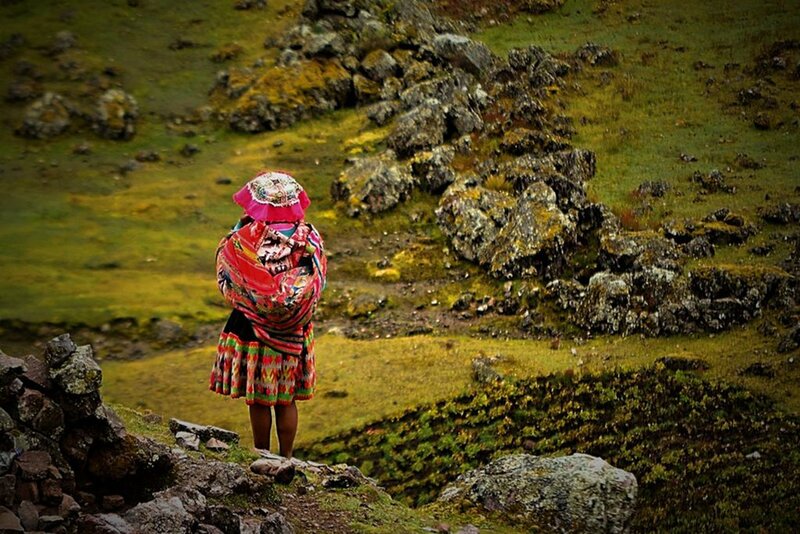 Our final destination is the hot baths of Lares. Here, naturally occurring, relaxing thermal waters await us before our trek. From the thermal baths unfolds a small track, used by local children and community members. We pass through hand-tilled fields and crops of quinoa and potato, amongst quaint stone houses. After a gradual climb of a few hours, we will stop for a delicious lunch, before continuing on to the community of Cuncani, our camp for the evening. The night will be cold but charming. If the day is clear, we will wake up to the imposing view of Colque Cruz, a majestic mountain capped by a glacier, which provides water to the community. We follow the path next to an icy stream that will take us towards the pass. The ascent is challenging. We will have some hours of demanding but rewarding uphill, on rocky trails passing through incredible landscapes punctuated by high altitude lagoons. As we get closer to the pass, the trail becomes steeper and rockier. On reaching the summit a stunning view of the Pampas of Anta awaits us, followed by a descent that will be most agreeable after such a long climb. The descent is steep but beautiful, crossing a small forest of ‘Polylepis’, the endemic and endangered trees of the high Andes. Just after the forest and with an incredible view of the valley below we will stop for lunch. After which the drop continues until we reach our camp, a tranquil paradise, surrounded by trees and crossed by a small river. Tonight, if we find some dead wood, we will enjoy a campfire. This morning will be our last on the trail and after breakfast, there will be a chance to take photos with our porters, cooks and field staff. All those who made this trip possible. From here the walk becomes easier down to the piscigranja (fish farm). We will feel the climate changing, becoming warmer and more alive, with more variety in vegetation as hummingbirds accompany us on our journey. 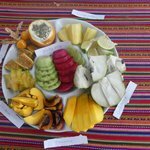 After a few short hours, we will meet our private transportation that will take us to Ollantaytambo for an overnight stay at the stunning & unique El Albergue hotel. We will take the train from Ollantaytambo to Km 104, where the Inca Trail starts. The valley turns into a canyon and the scenery begins to alter as the cloud forests appear on our approach to the Machu Picchu Sanctuary. We will disembark the train at Km 104 and start the hike along a challenging uphill path. This trek is short but hard, manageable but no ‘walk in the park’. This ancient Inca Trail takes us uphill all the way to the magnificent archaeological complex of Wiñay Wayna, from where there are many steep steps to climb to reach the Archaeological Site. With a fabulous sense of peace far from the crowds, this will be the perfect spot to enjoy our delicious boxed lunch, with superb views of the massive green mountains and native orchids. The trail becomes gentler from here and continues all the way to the Sun Gate, where we arrive at Machu Picchu through its real entrance. It is from here that we will have our first glimpse of Machu Picchu. We then cross the site to take the bus down to Aguas Calientes town, where will check into our lodge to rest and relax, in anticipation of a full day visit tomorrow. Today as it gets light, we will catch the first bus up to Machu Picchu, to enjoy the ruins at a quieter time of day when there are fewer people. It is a 25 minutes bus ride to the sanctuary of Machu Picchu (2400 m). Our guide will lead us in our exploration and discovery of the many curious corners within the enigmatic Citadel of Machu Picchu. The guided tour will have an average duration of 2 hours. Afterward, you will still have some time to visit other places that you did not see with your guide. For example, heading west from the center of Machu Picchu, the Inca bridge is a 30 minute / 2 Km or so walk along a narrow path. If you feel like an uphill challenge, you have the option to climb the infamous mountain of Huayna Picchu. It is important to know that to climb this mountain, you need to buy a separate ticket in advance. Please confirm that you want to make this climb at the time of making your booking with us. There are only 2 entrance times: 7 or 10 in the morning. The trail consists of many steep narrow steps (not recommended for people who suffer vertigo), the height of the mountain is 2700m (8858 ft) and the climb is 300m (984 ft). At the end of our visit, we will take the bus down to Aguas Calientes for lunch and then board the train to Ollantaytambo. 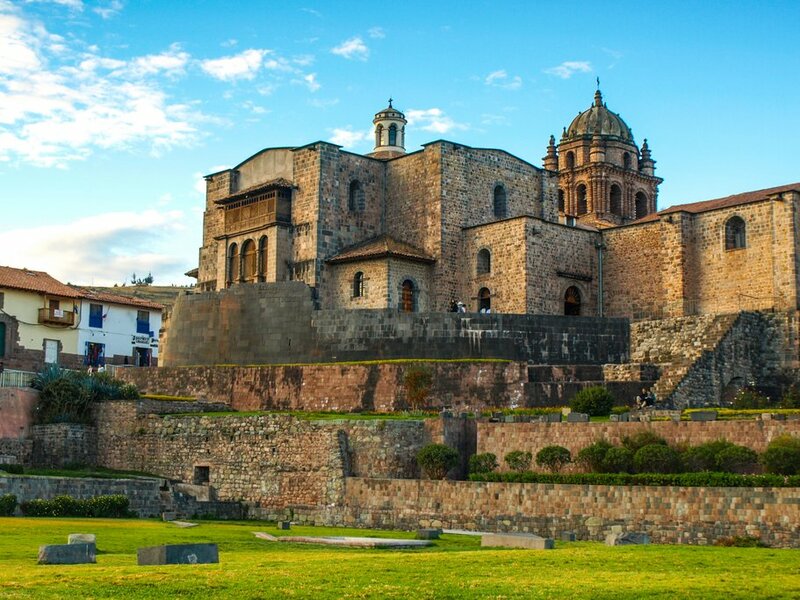 On arrival, we will be met by our private transport and return to the hotel in Cusco (1 hour and a half drive). Today is your last day in Peru! 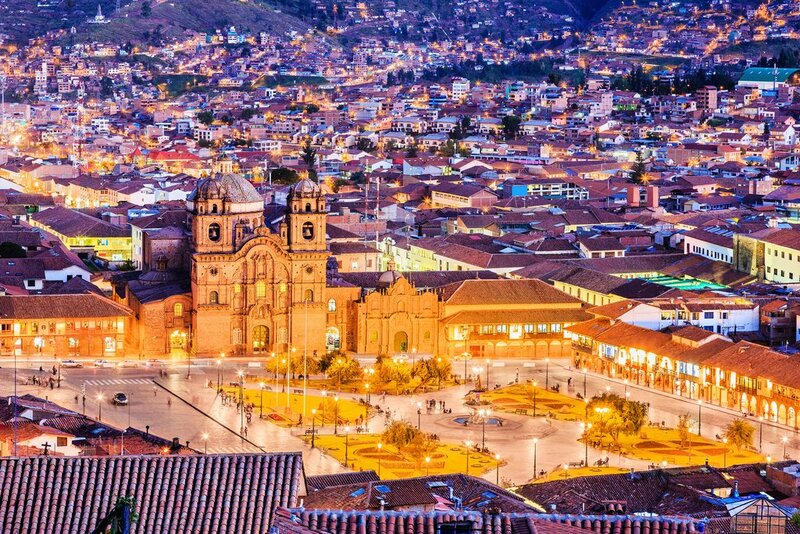 You will be met at your hotel for a transfer to Cusco Airport, where you will transfer to your homeward-bound flight. ¡Buen viaje!